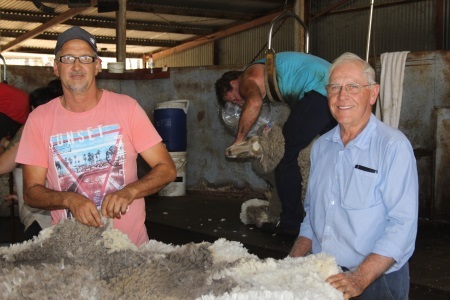 THE “glory days” of the sheep industry have hit WA, according to Pingelly Shearing contractor and shearing industry trainer Rob Cristinelli. See the article in Farm Weekly featuring WASIA President Darren Spencer and member Rob Cristinelli. Mr Spencer said WASIA had a push on health and safety to improve the longevity of workers. There was also a push to improve the shearing infrastructure on farms so that shearing teams didn’t have to put up with 100-year-old sheds and out of date equipment. “There’s plenty of money in wool and sheep at the moment so we hope that wool growers will invest in it for the future,” Mr Spencer said. He said shearing was a high risk occupation and if safety standards improved it would be better for everyone.